I am with you there!! Kiss the world good bye!Just us and the blue tooth. Yep, thats why I mentioned. If we watched 8hr. of TV on the boat this year. Thats a lot for us. But this is about MODs. OK, how is adding extra house batterers? How are you hooking them up? Actually, here's probably THE BEST set up for any TV on a boat or anywhere, provided you have cable TV in your house. You pay the 150 deer for a one-time fee and you take this thing and you can watch every single channel that you have available on your home cable network, anywhere in the world! lol. No antenna, no wires, no houlaboula. Dish network has that, I have used it for my phone. BUT, you need an internet connection vs putting up an antenna. Sure, but who doesn't have an internet connection on their phone, or tablet or laptop nowadays? The latter would be a drag to bring on the boat but I've seen several people on this site with their LT's on their boats. Heck, you can get internet on your watch now lol. And all the River Dwellers and Lakers on this site probably get WiFi in every single location they're at. 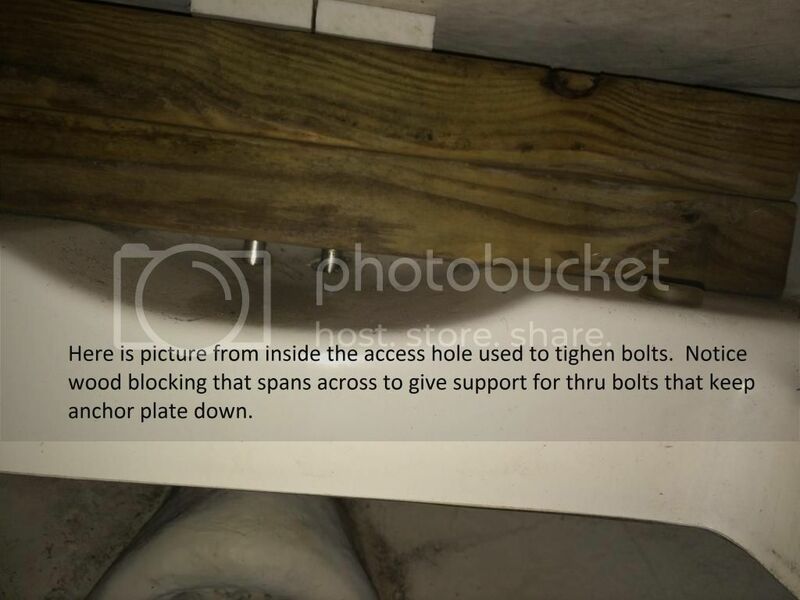 For us ocean guys, as long as you're not out halfway across the Atlantic or Pacific, you should easily be able to get a connection. I know I do around 5 miles offshore. I bet you get it during your entire trek across MA Bay to P-Town. So far, for my needs, this seems like the best way to go because everything easily stays 12vt, there's no antenna required and more importantly you're watching what you want to watch and not left with whatever channel comes through. Most Sox games are on NESN (won't get that I don't think off of an antenna, or do you?) and NASCAR (need FOX for the first half of the season but ESPN for the 2nd). The very few times I would think to put it on would be for those certain games or sports events that coincide with boating time, and those are usually on specific, cable channels. Anyone have one of those go-pros video cameras hooked up to a drone? Take a video of your boat from an aerial point of view? Check this fellow out, using his go-pro hooked up on a drone in Cambridge MA just a couple of days ago and a young, immature, first-year Red Tailed Hawk attacks it, sending it plummeting. It was all over the news and he posted it on YT and has over 1/4 million hits on it so far. It's only 39 seconds long. Very cool mod from ChappyPete on his stunningly beautiful, red 276 SSX. He got the boat with this mod already on it but he basically redid the entire boat including new paint on the hull band, the arch, new bimini and new carpets and rebuilt a powerhouse Merc that makes the thing fly to the moon. 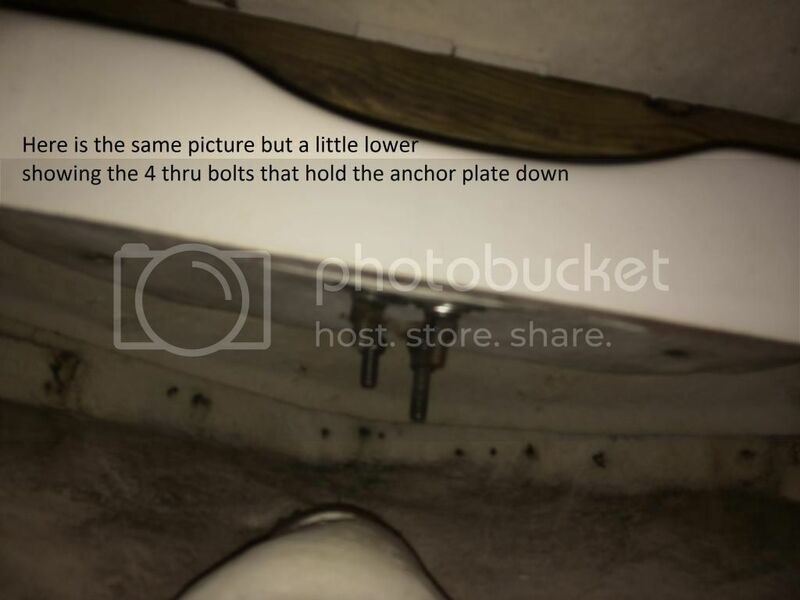 This is off his resto thread and it's the windlass Lewmar anchor installed on the anchor/bow ladder locker hatch. 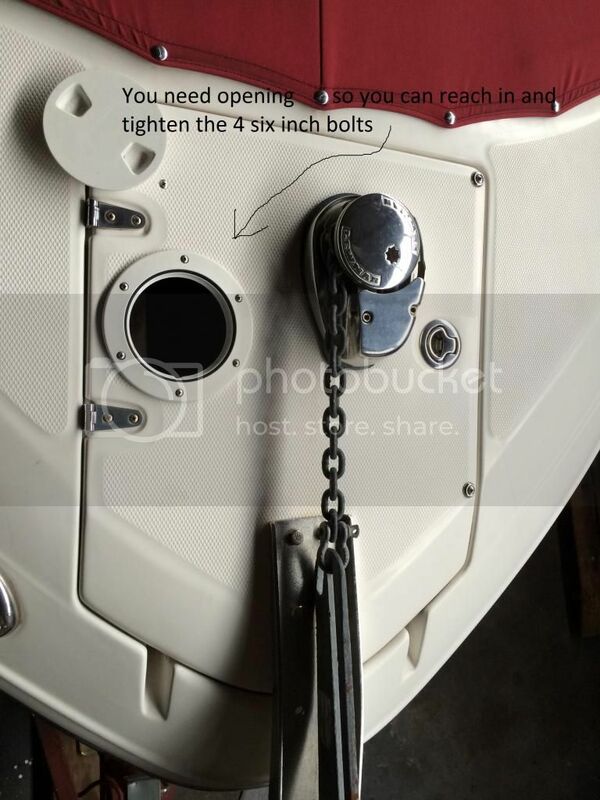 This is great mod for anyone who has a bow/anchor locker and wants to convert that area to a windlass set-up. Here it is. Lots of stuff with plenty of space left over! Disregard all the spider poop and the odd rope hanging from the ceiling. I should have cut that down while I was up there. That's great. Thanks for doing that, TP. I see what you mean, plenty of space left and I forgot what radar you mentioned that was but it looks like the 24"? Even that larger size fits on there very nicely. I'll just have to move the anchor light over like yours and that's also perfectly fine. Plenty of room for an EPIRB since that's really the only place to put a float-off unit and probably a WiFi extended range antenna. 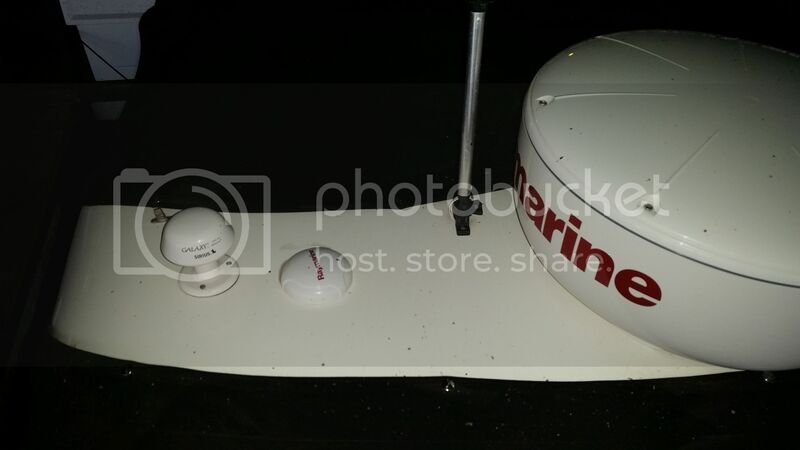 My Serius Satelite antenna is already on the port bow gunnel so I don't have to worry about that and I can't think of where my Garmin is.....I'll have to look for it. But I like it! 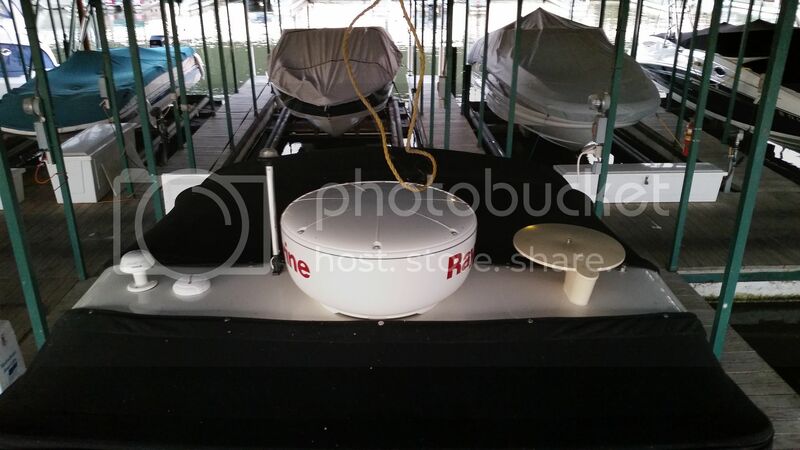 How badly do you want to watch TV on your boat? Again, dish network makes a dish called the "tailgater". It's just a luxury item, Iggy, not important at all. In fact, not many (if any) bowriders with that option in them, so it's mostly just to have the Sox game on instead of just listening to it on the radio and maybe have the ability to put it on if we go and just hang out in the boat at the slip (if that ever does happen) and have a nice, mid-summer dinner with some friends just chillin'. Hence why I'm thinking a WiFi connection would be the easiest and most effective method. No need for a special antenna (unless I need to extend the WiFi range which I don't believe I need to do) and less wiring to run. Then the SlingBox gives you the added convenience of having the channels you want instead of whatever happens to come through. 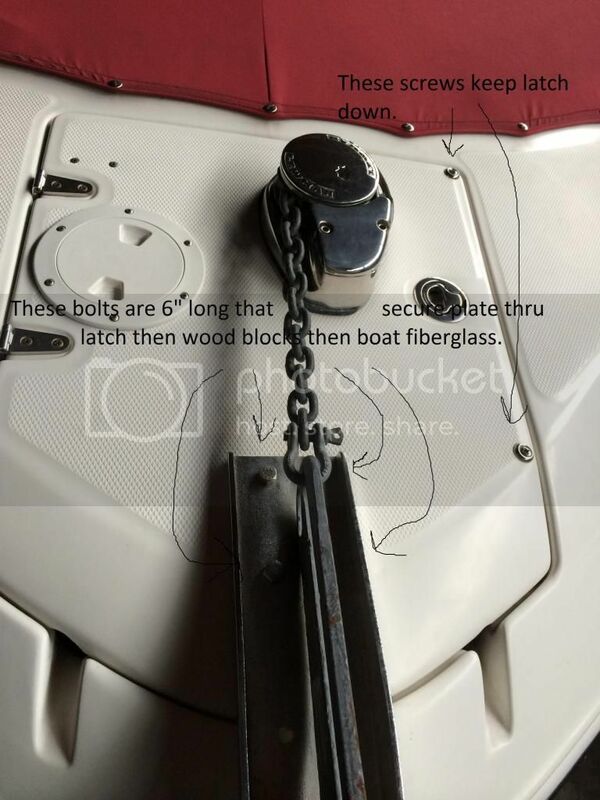 Don't think the tailgater will work...as the boat pitches and generally moves with the current/wind/waves, it will be constantly misaligned. I think the domed units ($$$) are the only answer since they gyroscopically (sp?) maintain their alignment with the satellite. 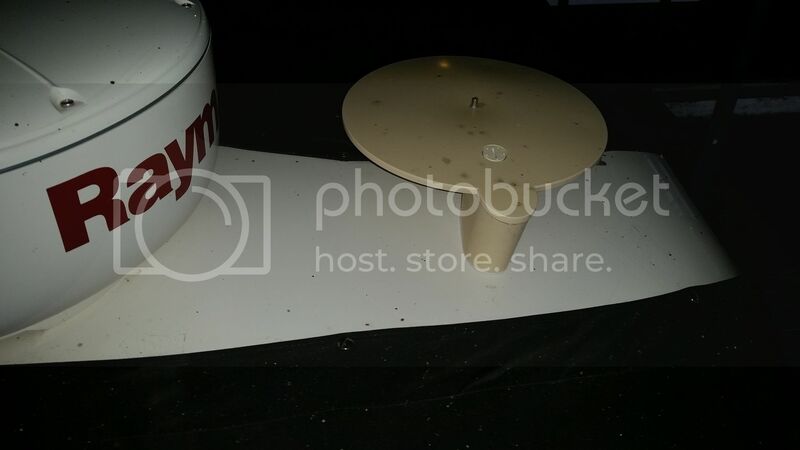 I noticed some of the fellows have these bulbous, fender-looking like things mounted on the inside of their radar arch like Better When Wet's boat and Texas P has them also, a few others, too. What are those, speakers? Or something else? Not just any speakers, but some of the worlds most expensive speakers. HG, they are little TVs. I had no idea what they were, that's why I'm asking? What's makes them so expensive? That triples the price of anything!!! Just kidding about those. I really have no idea what they are, and don't know much about marine stereo systems, other than that I need a new one. Thanks, Joe. I kinda figured that had something to do with it but can't imagine them being such pricey items. Anyway, good to know what they are anyway! Gonna have some nice pics for you really soon. Uh oh!! I think he got one! Looking forward to seeing them. Gave myself a larger allowance to fill the bigger hole in the water faster. Appreciated my mechanic a lot more.